Wow. My life sure did get eventful. It also got incredibly happy as well! I found myself someone in my real life and I am enjoying figuring out how to balance into my real life compared to being on the computer all the time. I have been enjoying watching movies, eating, and of course messing around and laughing with him! Sorry I'm a bit scatter brained tonight! I'm attempting to get everything done since I've been hanging out with him mostly this past week. I've definitely been living my life! So today I have a sponsor item that I have been meaning to show my readers! 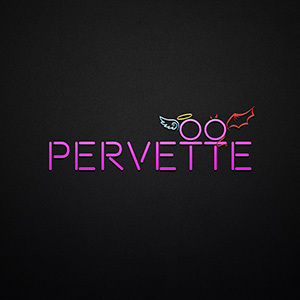 It is of course from Pervette! My readers can pick this up exclusively at the 4Mesh Event!